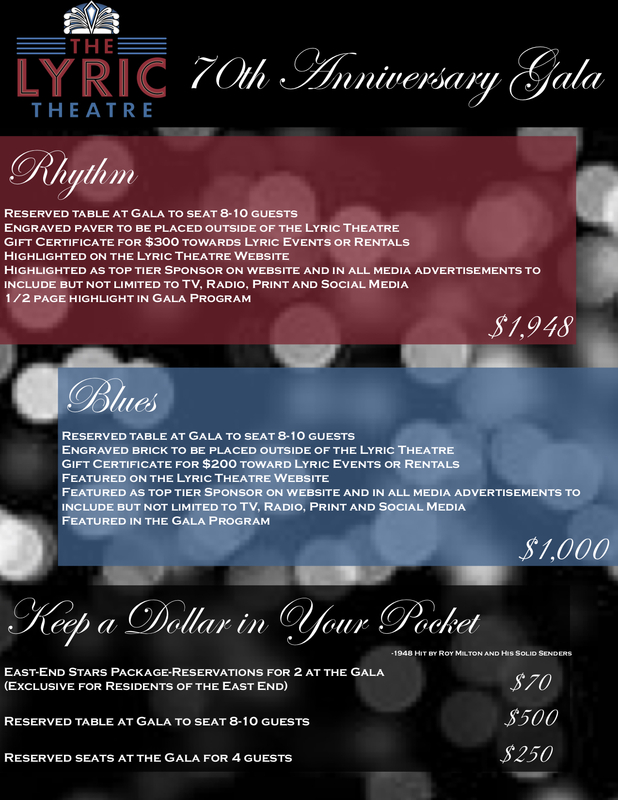 The Lyric Theatre & Cultural Arts Center invites you to our 70th Anniversary Gala, commemorating our original opening in 1948. From our original opening in 1948, The Lyric has undergone monumental changes. 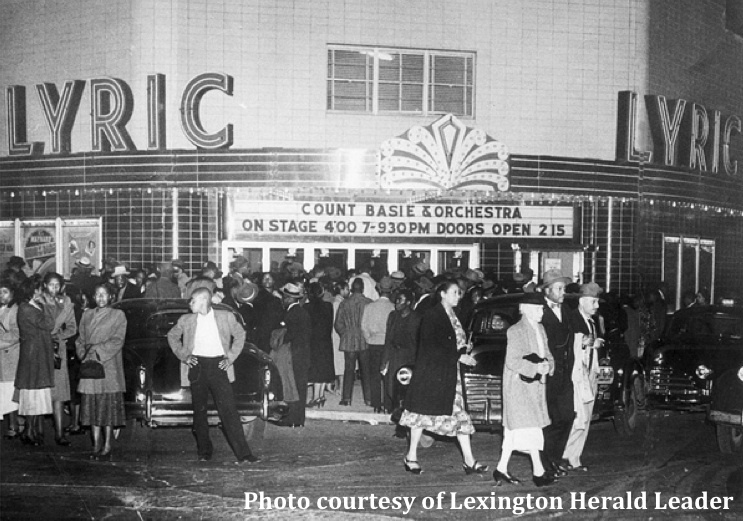 From being a beacon of entertainment and inspiration for Lexington's East End from 1948 - 1963, to the tragic dormancy and decay through the latter 20th century, to its grand reopening in 2010 thanks to the dedicated neighbors, supporters, and politicians who made it possible. On this special day, we look fondly at the past that created us and the future that awaits us. Enjoy an evening of music from the Lexington legend Tee Dee Young and the amazing Rae Camp Band, along with a delicious dinner from Dunn's Catering and more. To commemorate this night and celebrate our past, we will invite our patrons out front to recreate the iconic Count Basie photo of the original Lyric Theatre. Please contact the Lyric to notify us of any dietary restrictions and we will be happy to accommodate. Also available are ticket packages for sponors and supporters (please contact The Lyric at director@lexingtonlyric.com if you are interested in purchasing this package).